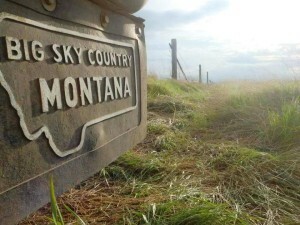 The state of Montana offers a variety of tax credits, reductions and rebates in order to provide incentives for companies to relocate to Montana and to expand or increase wages. 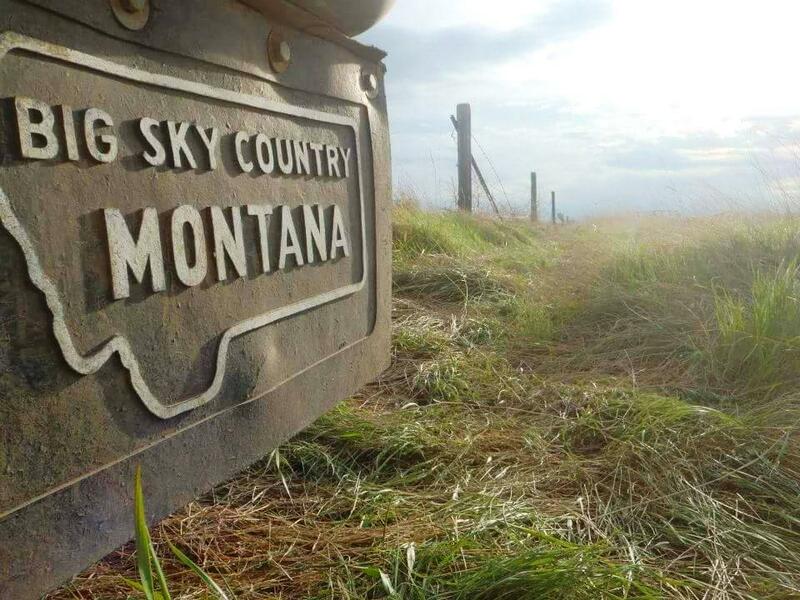 HB 584 created the "Big Sky on the Big Screen" Act which offers up to $1,000,000 in tax credits to film and TV productions that shoot in Montana. Detailed information on this program is available at www.montanafilm.com. Benefit: The total amount of the credit is 1% of the total wages paid to new employees. Credit is available during the first three years following initiation or expansion of the manufacturing operation. Credit limited to the year in which it is earned. Natural resource tax incentives include certain exemptions from coal severance taxes, metal mine licence taxes, oil stripper well exemptions and reduced rates for certain types of oil and gas production. These incentives consist of a ethanol tax credit passed in the 2005 legislature. A bio-diesel blending and storage tax credit is available to some individuals, corporations, partnerships, or small business corporations as defined in statute. Those eligible may receive a credit against taxes imposed for the cost of storage and blending equipment to be used for blending bio-diesel with petroleum diesel. Property tax incentives fall under three categories: property tax abatement, property tax exemptions, abd suspension/cancellation of delinquent property taxes. Find more information on all tax incentive programs here. 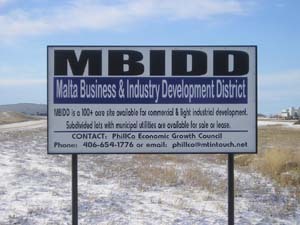 The Malta Business and Industry Development District (MBIDD) is located at the county seat of Malta. 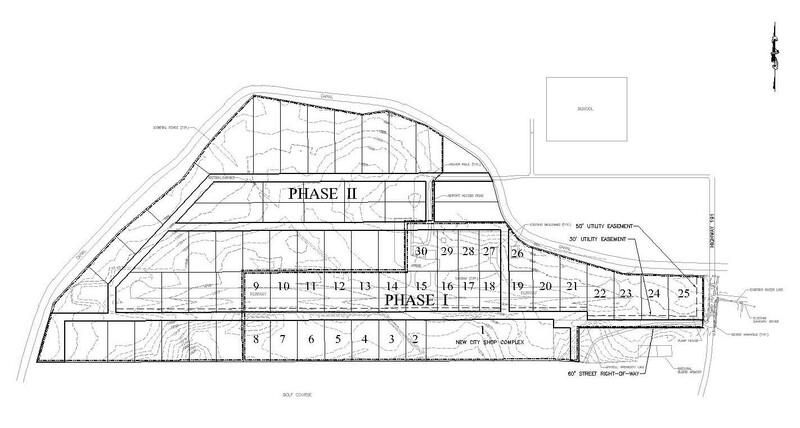 The former airport site features 133 acres and 31 lots available for development. The MBIDD is owned by the City of Malta and managed by the PhillCo Economic Growth Council. PhillCo has entered a 99 year lease agreement with the City of Malta which allows PhillCo to sell/lease lots as needed to businesses that support economic development in Phillips County. Electricity is provided by Northwestern Energy and natural gas by Montana-Dakota Utilities. City of Malta water and sewer is available on-site. Opportunity Drive provides direct and easy access to US HWY 191. Access to US HWY 2 and Burlington-Northern Railway is less than one mile away. Malta is daily provided with UPS, Fed-Ex and truck Transport services. The PhillCo Economic Growth Council manages a Community Fund with the goal of providing assistance to relocating or expanding businesses that will provide additional full-time jobs and contribute to the Phillips County economy. For more information about the Community Fund click on the contact the PhillCo Office at (406) 654-5525 or phillco@itstriangle.com. The purpose of the Store Front Beautification Grant Program is to improve our Phillips County Main Streets. To be eligible for one of these grants the improvements must be made by the property owner or the business owner with the property owners approval in writing. We welcome grant applications from businesses with store fronts in Phillips County or destination/tourist locations in Phillips County. These matching grants can fund up to 50% of an individual beautification project up to $2,500.